The members of the University of North Georgia's Blue Ridge Rifles stand with their trophies from the exhibition competition held during the annual Mardi Gras Invitational Drill Meet. The University of North Georgia's (UNG) Blue Ridge Rifle team won first place in platoon exhibition performance at the annual Mardi Gras Invitational Drill meet, a national competition held in New Orleans each February. The team’s performance outpaced teams from two other senior military colleges and two service academies and drew spectators beyond the normal judging panel. "When we came off the field, there were judges and other competitors from other events who had been watching us perform," said cadet Capt. Alex Harvie of Grayson, Georgia, the unit's commander, explaining that the team performs routines that are at a high difficulty level. The meet consists of seven events that test teams' confidence, attention to detail and discipline. This year, UNG's team competed in exhibition performance and color guard. In addition to the team win, two cadets placed in the top four individually in exhibition performance. Cadet Sgt. 1st Class Charles Baynard, a junior from Newport News, Virginia, earned third place and cadet Master Sgt. Cody Waits, a junior from Palm Beach Gardens, Florida, placed fourth. Staff Sgt. Terry Baumann, a tactical officer at UNG who serves as adviser for the team, said UNG's rifle team is unique; cadets run the unit and his role mainly is to provide logistical support. "The cadets come up with their own routines and handle the training," Baumann said. "Other schools have staff who specifically are assigned to design drill routines and teach those routines to the cadets." 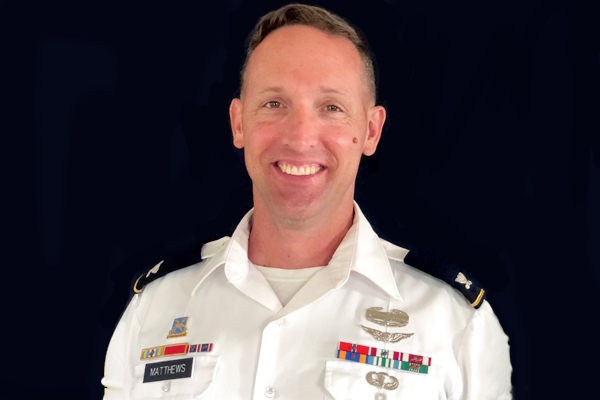 UNG's first-place routine was designed by Waits, who as drillmaster is responsible for training the unit. Waits is already planning for next year when he hopes the team will compete in all seven events. "We weren't able to compete in every event and go for the overall trophy this year, but I want to do that next year, as well as leave the freshman class with the tools that they'll need to lead this team when they move into leadership positions," Waits said. Schools competing at this year's drill meet included Texas A&M University, University of Florida, University of Texas-Austin, University of South Carolina, Norwich University, Merchant Marine Academy, West Point, University of Texas-Arlington, University of Mississippi, Auburn University, University of Memphis, Florida State University, University of Illinois, Vanderbilt University, and Southern University. The Blue Ridge Rifles hold tryouts each fall semester for UNG students. 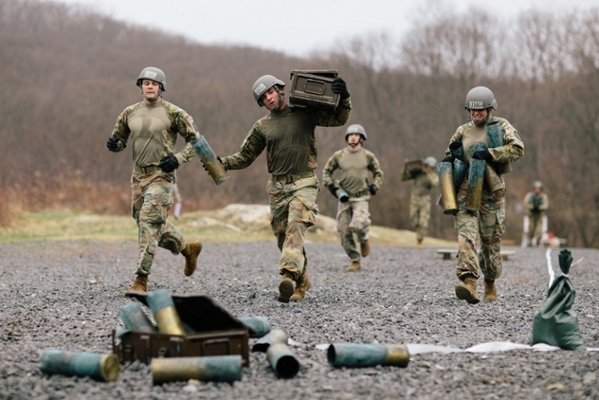 Blue Ridge Rifles members are expected to grow in ability and knowledge and move into leadership positions in the unit, which often coincides with increasing responsibility in the Corps of Cadets. The team also holds a summer camp for high school students interested in drill, which is scheduled for July 6-10 this year. 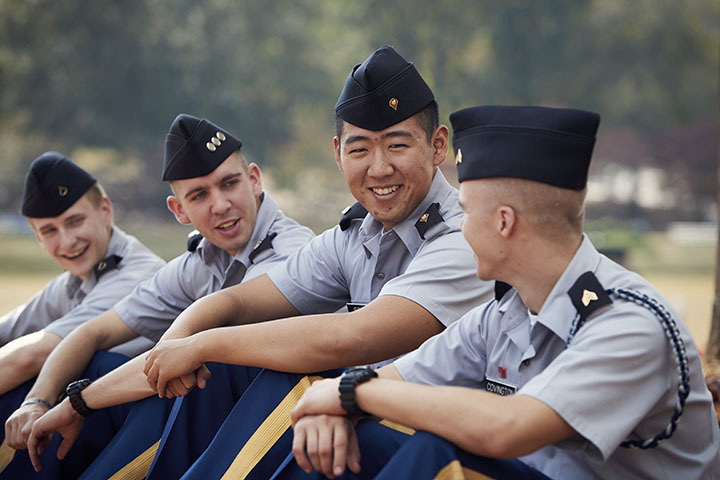 A specialty unit of the university's Corps of Cadets, the drill team was created in 1950 and renamed Blue Ridge Rifles in 1958 to honor a group of Dahlonega volunteers who fought during the Civil War. The team regularly provides color guard services and performs for university functions and external events. The team traveled to Germany in 2014 and performed at the Atlanta Motor Speedway on March 1 for the NASCAR event. 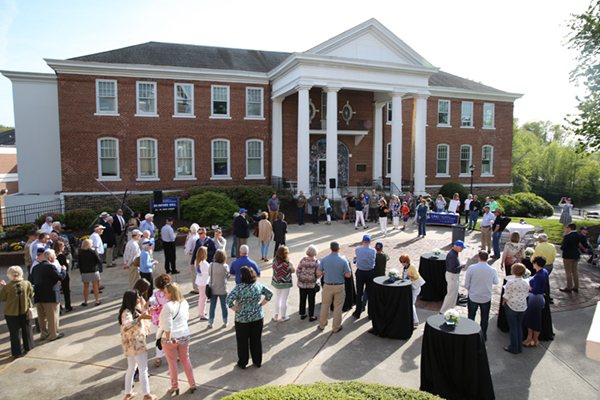 UNG is one of six senior military colleges in the country and is designated as The Military College of Georgia and as a state leadership institution.